FDSAS is your exclusive GLOBE dealer in Kentucky. When seconds and manpower count, you can count on FDSAS. At Globe, we never stop innovating. Retailored from collar to cuff to provide even less restriction, the new G-XTREME® is the latest evolution of our original breakthrough design. More streamlined jacket design reduces oversize in front chest, bulk under SCBA, and stiffness in front closure. Less bulky, softer, and more adjustable collar interfaces better with hood and helmet and reduces head restriction. DRD opening in the collar takes bulk out of the upper back and allows better access above the SCBA. Elasticized side panels on jacket provide flexible, more athletic fit at the waist. Lower rise, less bulky pants design fits closer to your body and deeper fly opening permits quicker and easier donning and doffing. Elasticized sides on pants and one-hand adjustable belt closure provide flexible, more athletic fit at the waist. New 3M SCOTCHLITE™ COMFORT TRIM reflective material is segmented and heat sealed to be lighter, more flexible, and breathable without sacrificing visibility. 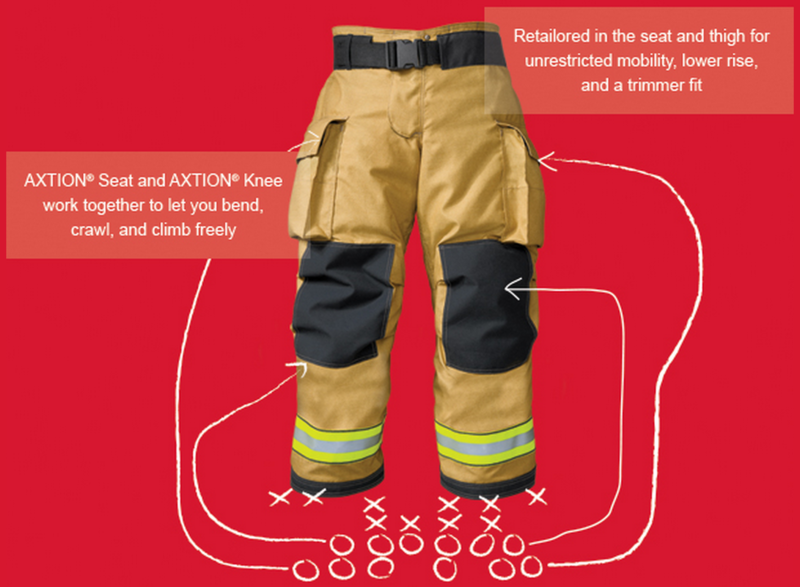 ATHLETIX™ is significantly lighter than previous generations of turnout gear. 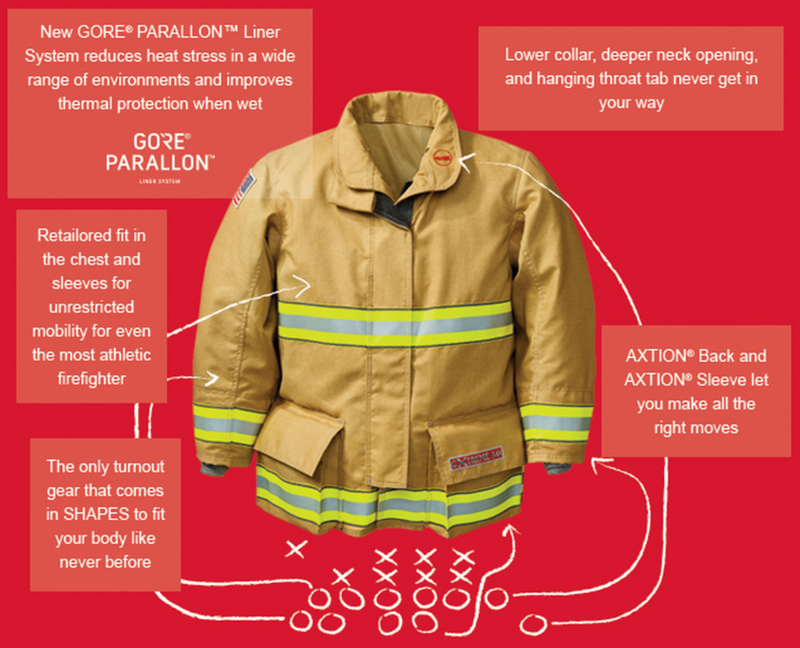 When called into action, you need to fight the fire – not your gear. Featuring the most comfortable collar on the market, COLLARBREAK™, the collar is sewn smoothly to the inner liner and then attached to the outer shell on the outside for a completely smooth fit across the neck. The added length in the AXTION® Sleeve, Seat, and Knee combine to allow you to move freely. Available XPS™Panels provide options to extend the back. A Cairns Collection style. This metro-inspired design includes a drop-shoulder design that moves the sleeve seam beyond the shoulder for improved reach and reduced coat ride up. Together with a shorter front and longer back, this allows enhanced freedom of movement throughout the shoulders, arms, and back with less bulk. 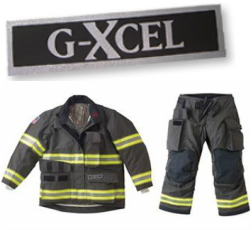 And the low-rise pants include a host of standard features including thermally enhanced flex liner knees and suggested options including SILIZONE® knee padding and DRAGONHIDE®reinforcements. 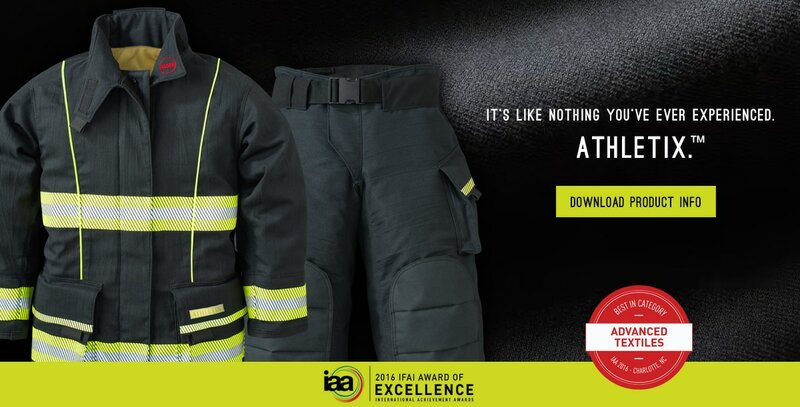 The world's most advanced turnout gear is all about reducing restriction and increasing range of motion. Designed in consultation with a renowned university professor who literally wrote the book on protective clothing, this innovative design is a result of understanding physiology and how the body moves. The AXTION® Back, Sleeve, Seat, and Knee work in concert to give you completely unrestricted movement when you bend. And G-XTREME® comes in SHAPES to fit your body even better.